Hello Monday! I hope you had a great weekend? It seems Fantastic Frank is taking my blog by storm this January. 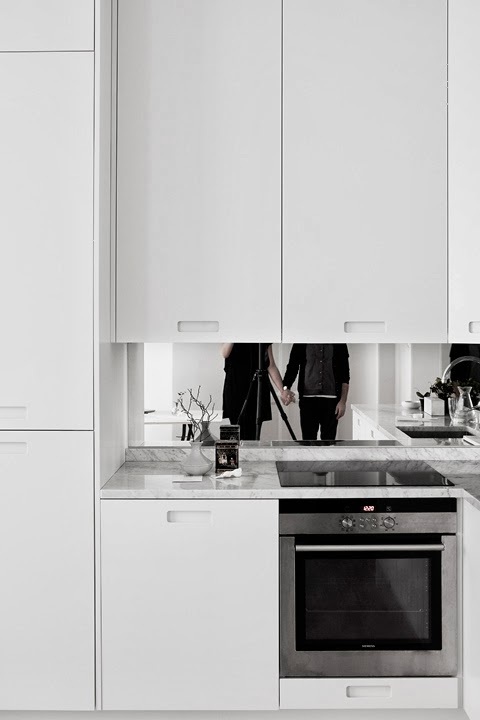 Here is another wonderful Stockholm apartment styled and photographed for sale by the Swedish estate agent. 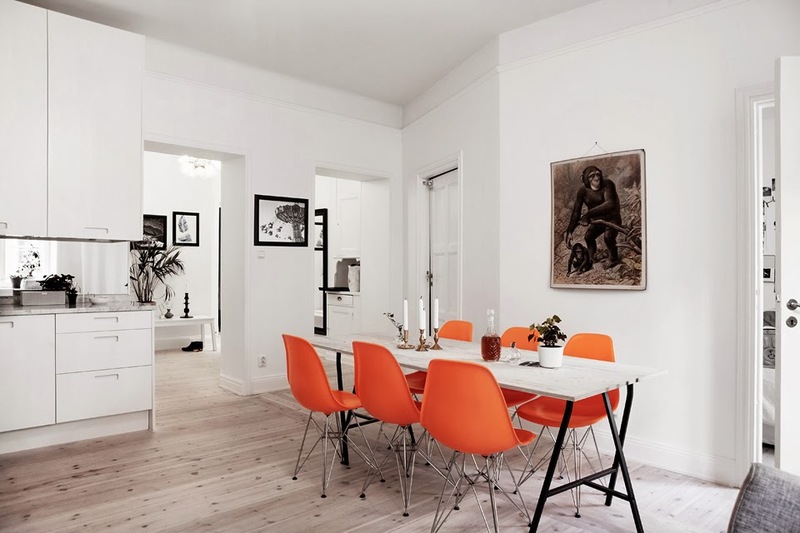 Decorated in monochrome save for a bold orange touch in the dining area, this home has so many inspiring details. 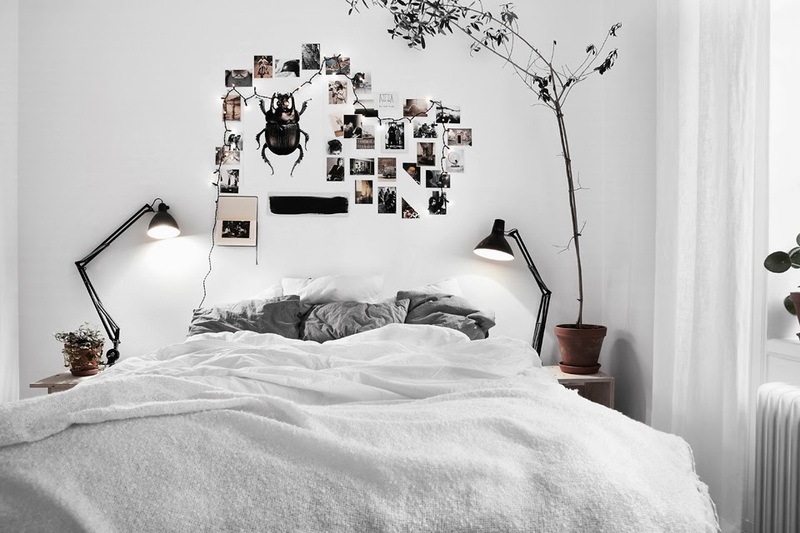 I love the artwork, mood boards and use of greenery (especially next to the bed!). 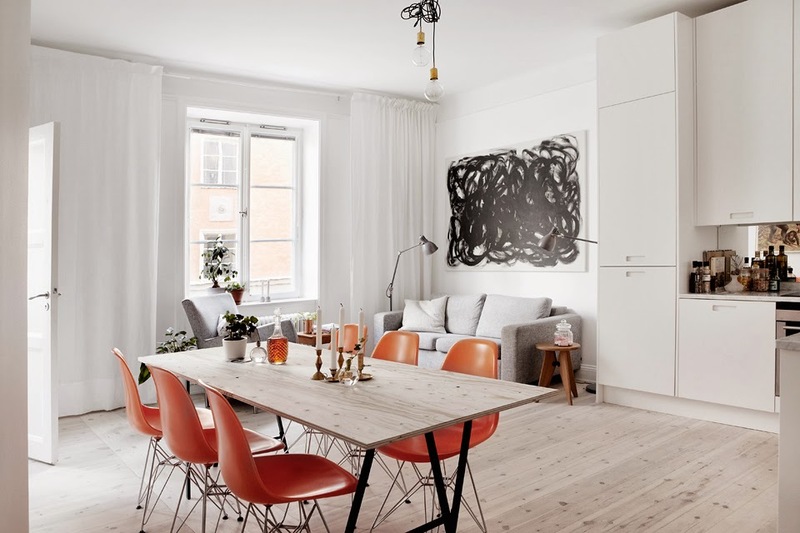 Personally I'm not a big fan of orange and would have preferred to have seen a mix match of chairs around the table but hey, that's at a push because I would say this apartment is next to perfect! How about you? 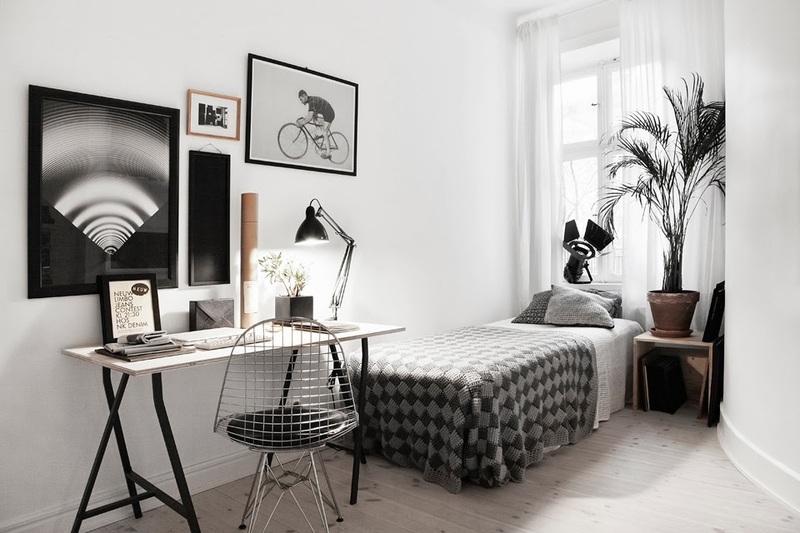 I spy the Vitra wire chair and Eames DSR in orange (15% off with MYSCAN), The HAY standard loop table is similar, and Anglepoise desk lamps lights. In case you've missed them, her's a warren of fab apartments from Fantastic Frank? Incidentally this year I've big plans for my blog (more to follow!). 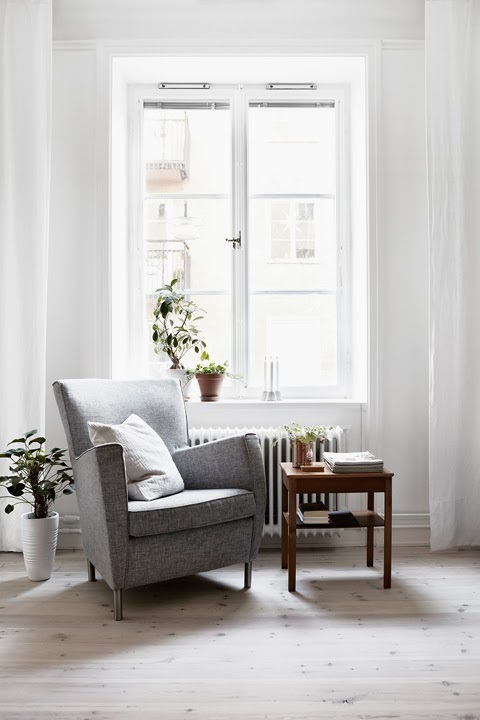 Among one of my goals is to create a My Scandinavian Home app - but how to get started?! Do you know how, where, what?! Would love some tips. Este apartamento es precioso y el toque naranja es ideal. I love the pop of orange! I wanted to put orange stools in my kitchen but my husband vetoed it. Though I do think it is a color that is having a moment and might look dated sooner than other colors. 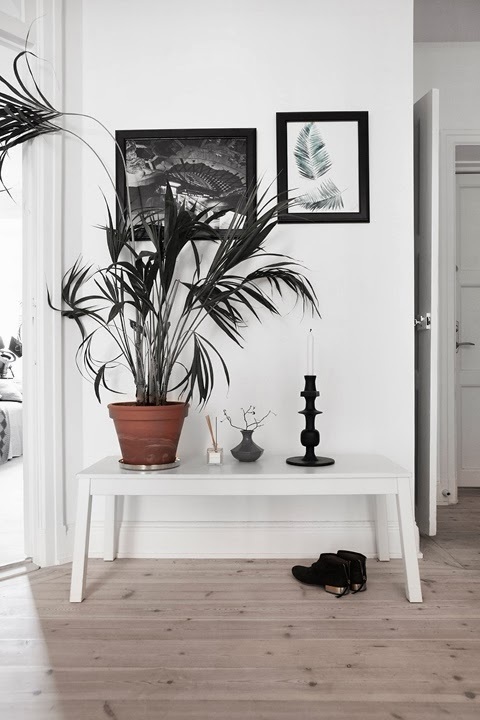 I love pictures hanging on white or black walls and lots of plants in such places. Looks nice.